Gary Payne - A photographer by profession, Gary has been playing the mandolin for a number of years. He has mainly studied with Chris Acquavella for much of that time. 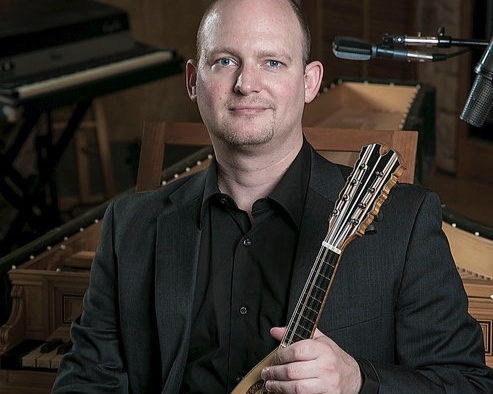 He has also participated in a number of workshops and classes with Caterina Lichtenberg, Carlo Aonzo, Mike Marshall, Evan Marshall, and Paulo Sá--at events like The Mandolin Symposium and the Classical Mandolin Society of America (CMSA) annual conventions. Gary's main area of interest is the classical mandolin; it's instruments, techniques and repertoire. Gary has also recently taken up the violin, with a particular interest in Baroque music. Gary was concert master of the New Expression Mandolin Orchestra (NEMO) in San Diego, and has performed as a trio and a duo in a number of local events and concerts. Gary also plays violin in the Kensington Baroque Orchestra--which he helped found. He also promotes and hosts concerts in San Diego. Gary is president of the Board of Directors of the Bach Collegium San Diego, an early music ensemble dedicated to performing vibrant historically informed music. Gary is also a board member of the national organization Early Music America.